New Delhi: Cyrus Mistry, the next chief of the sprawling Tata empire, will have the responsibility of setting the pace and ensuring overall business continuity amid global economic headwinds, feel experts. At the same time, they feel that the one-year period under the guidance of iconic Ratan Tata would provide 43-year-old Mistry with an opportunity to closely understand the intricacies of running a salt-to-software conglomerate of this size and stature. Mistry would take over the reins of the $3-billion group from Ratan Tata as chairman of Tata Sons in about a year’s time in December 2012, and has been made the deputy chairman till that time. The chairman of Tata Sons Ltd, the main holding company of various Tata group of companies, has traditionally been regarded as the Chairman of the overall group and Ratan Tata has been holding this position since 1991. Stressing that no major changes are expected immediately with the new appointment, Indian School of Business (ISB) faculty Kavil Ramachandran said that any change would only happen gradually at the conglomerate. “Since Mistry does not have the experience of managing a conglomerate like the Tatas, he might not be adventurous enough to venture into newer areas," he told PTI. Mystry has been announced as the successor to Ratan Tata, who steps down in December 2012, after a search process that continued for more than a year. “Immediately, he will have the task of understanding the Tata Group more as well as make himself acceptable to group companies and command respect," he noted. Ramachandran is the Thomas Schmidheiny chair professor of Family Business and Wealth Management, Clinical Professor at ISB. “Change will certainly happen. Mistry’s role would be to preserve the fabric of success in the group and push the envelope around growth," global human resource major Hay Group India’s Mohinish Sinha, who is director & leadership and talent practice leader said. According to him, Mistry’s task is cut out and he has to drive the pace for the group. “Ratan Tata has done tremendous good for the group. He has a strong legacy and Mistry will have to continue with that legacy," global HR firm Manpower Group India head (marketing) Namr Kishore said. Mistry has been given the daunting task of steering the $83-billion conglomerate, that rakes in 58% of total revenues from overseas, amid shaky global economic conditions. Even though, he has a year left before taking over the reins, the challenge is expected to be in setting the pace. “Global challenges will always provide opportunities for good leaders. Tata Group has far more depth as well as skills and expertise to deal with global economic conditions," Sinha noted. Describing the selection of Mistry as the next Tata Group chief as a positive step, staffing services major Ma Foi Randstad’s MD and CEO E Balaji said that he would have the responsibility to take Tata Group to the next level. “One of the best things is that Mistry will be mentored by Ratan Tata for one year before he takes over the reins. Also, he has the backing of key stakeholders and the board (of Tata Sons), which again are positive factors," Balaji noted. Kishore said that Mistry’s main job would be to strengthen the competitiveness of Tata Group, which already has good global prominence. 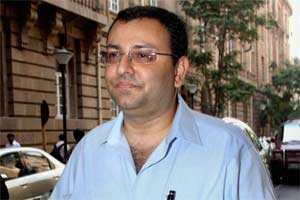 “A big task is cut out for Mistry at the helm of Tata Group," he added. “Mistry is not a kind of person with arrogance and he is also not a publicity monger. He has been pushed into the position in the second round of selection process," Ramachandran pointed out. Unlike the time when Ratan Tata took over the reins of the group in 1991, Mistry does not have to fight fiefdoms which is another positive for him, another industry expert said.